Here are a few updates about the efforts that PREFORMA is conduction towards the standardisation of Matroska and FFv1 thanks to MediaArea, one of the PREFORMA suppliers that is working in the prototyping phase. Tessa Fallon and Jerome Martinez, members of MediaArea's team, facilitated much of the interaction between the project and the IETF, which was determined as the most appropriate standards body to collaborate with. This interaction led to Tessa chairing 35 minutes of conference time at IETF 93 in Prague on the subject of whether the IETF should proceed with efforts to further standardize Matroska and FFV1. Attendance at IETF allowed MediaArea and PREFORMA to establish relationships with IETF members/directors who could assist in coordination of standardization efforts within IETF guidelines and procedures. Representatives from both formats participate in the meeting and subsequent online discussion were carried out with the IETF DISPATCH working group. Representatives of cultural heritage organizations that use Matroska and FFV1, such as the Austrian Mediathek and the UK National Archives also participated in discussions on these formats directly with IETF representatives. Tessa Fallon has worked with Matroska, FFV1, and Flac (at the request of IETF) communities to draft and propose a working group charter which is currently under consideration by the IETF's IESG. Prior to the approval and establishment of the working group, much of the work is focused on building relationships and offline coordination and planning. Dave Rice gave a presentation in Bern, Switzerland discussing the PREFORMA project and discussed it at VideoLAN Dev Days , an “unconference” held in Paris, France. 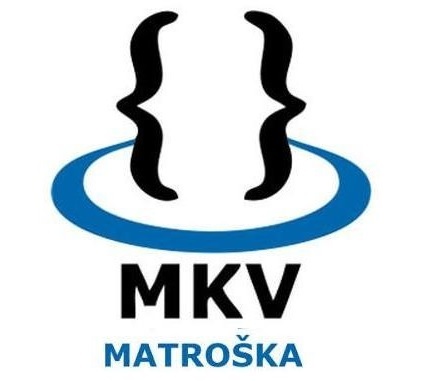 The discussion at VDD included many Matroska users such as representatives from YouTube, Obencoder, and other open media groups on the standardization effort and there was a productive conservation on merging the standardization efforts from Google/YouTube on webM (a Matroska derivative) with the PREFORMA-facilitated IETF work on the Matroska specification. This has led to itemized listserv discussions of proposals to advance the container towards making it more selfdescriptive and futureready, see: http://lists.matroska.org/pipermail/matroskadevel/2015September/thread.html.